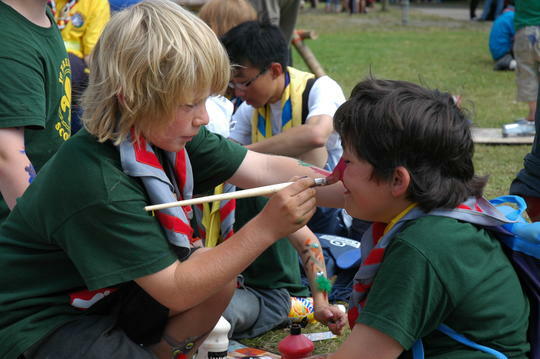 The Scout Association UK recently undertook some research into the issues which impact on developing Cub Scouting. The NSO used an external research company to carry out interviews with Cubs, their parents, former Cubs and also carried out focus groups with Leaders and young people. They were concerned that whilst the Cub Scout section was growing in the UK, it was developing slower than other age ranges and wanted to understand why that might be. A fun and challenging programme of activities. This needs to include plenty of time spent outdoors, both at weekly meetings and at camps. Scouting still retains a traditional image. For some this can be a barrier, especially as Cubs grow older. The Leader – a good Leader who is able to engage with the young people, maintain discipline and who is enthusiastic and knowledgeable. The reverse is also true where a leader is poor, unable to maintain disciple and communicate with parents the membership declines. Programme content – the research made it clear that young people perceived a “good” programme as one which focussed on challenge and achievement, badges, fun, trying new things and (most importantly) outdoors and camping. Overall, variety and the outdoors were identified as being critical to success and continued development.